This will be held outside in the shade. If it rains, the event will be moved forward a week, and end a week later. 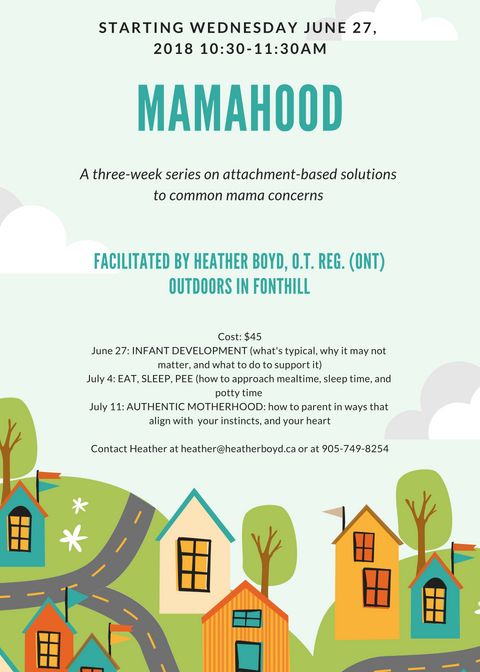 This series is a small-group format (maximum five mothers) to ensure there is ample time to connect, reflect, and share experiences. Contact me at heather@heatherboyd.ca or 905-749-8254 to sign up.